In a single year, Joanne Turnbull took Valentine Public School’s traditional library space and turned it into a high-powered media centre. 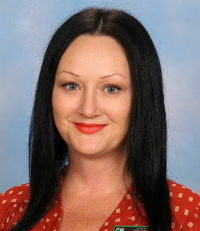 Her efforts have led to a significant improvement in student engagement and greater confidence among teachers in embedding technology into their teaching. The new state-ofthe- art media centre enriches class content learning through the explicit teaching of the general capabilities and cross-curricular priorities. The space also ensures that students engage with literacy learning that supports future-focused skills. Within this space, students work collaboratively with an emphasis on becoming the architects and creators of technology, rather than merely consumers of it.